It was a beautiful evening yesterday to spend learning about the benefits of cover crops and no-till at Rob Stout’s farm in Washington County. “There’s a learning curve. You just need to step up your management a little bit,” Stout explained, when discussing implementing cover crops for the first time. He went on to talk about the benefits he has seen on his farm: an increase in earthworms and microbes, erosion control, water quality benefits and improved soil health. Attendees also heard from Jason Steele from the NRCS. Steele described the soil health benefits of implementing no-till or cover crops. Steele went on to say that despite the very wet fall we had last year, there were no ruts visible in Stout’s fields due to the fact that the fields were not tilled. The combination of no-till and cover crops reduced compaction and kept the top two inches of soil light and fluffy, with good soil structure and infiltration and the most biological activity. Rounding out the program were Liz Juchems from Iowa Learning Farms, who shared research updates; Tony Maxwell from the NRCS, who talked about cost share; and Matt McAndrew and Paul Brandt from MB Water, who discussed testing water quality in tile drains. Check out the events page of our website to find out about upcoming field days and workshops in your area! Thought I was talking about baseball didn’t you? This week we kicked off our spring field day/workshop season with a stop in Jefferson. Yesterday we held a Cover Crops and Grazing Cover Crops Field Day at the McNay Research Farm near Chariton. The leadoff speaker was Chariton farmer Duane Steenhoek, who talked about his experience growing and grazing cover crops. On deck was Liz Juchems with the Iowa Learning Farms. She shared the main findings from an ILF 10-year study on cover crops and what impact they have on yield. She also hit on planter settings, cost share opportunities and how oats and cereal rye are great for rookies. Closing out the field day were ISU Extension Field Agronomist Rebecca Vittetoe and ISU Beef Field Specialist Erika Lundy. They spoke to utilizing cover crops as a forage source. They covered seeding methods, the importance of your herbicide program, possible grazing issues and which species to select for maximum grazing benefits. If you weren’t able to attend this event, there are more opportunities to attend one of our upcoming workshops or field days! 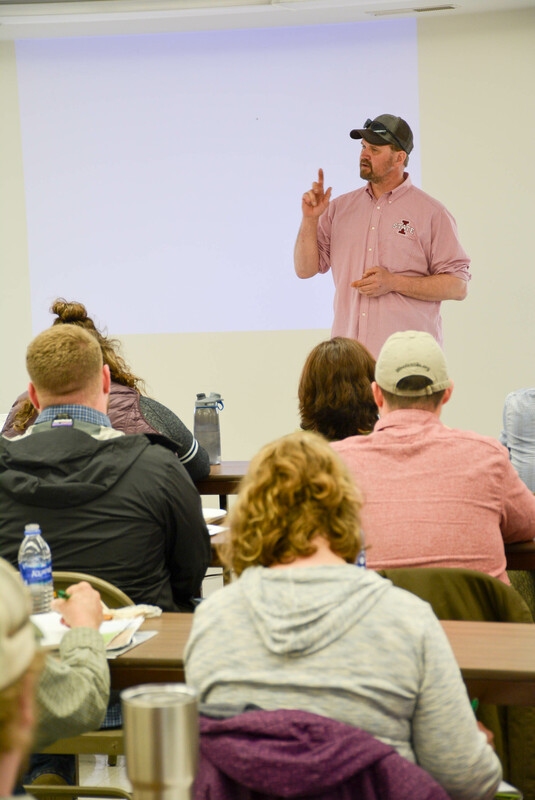 James Holz, a farmer and co-founder of Iowa Cover Crop, shared some of his knowledge about cover crops at our workshop in Jefferson on March 26th. 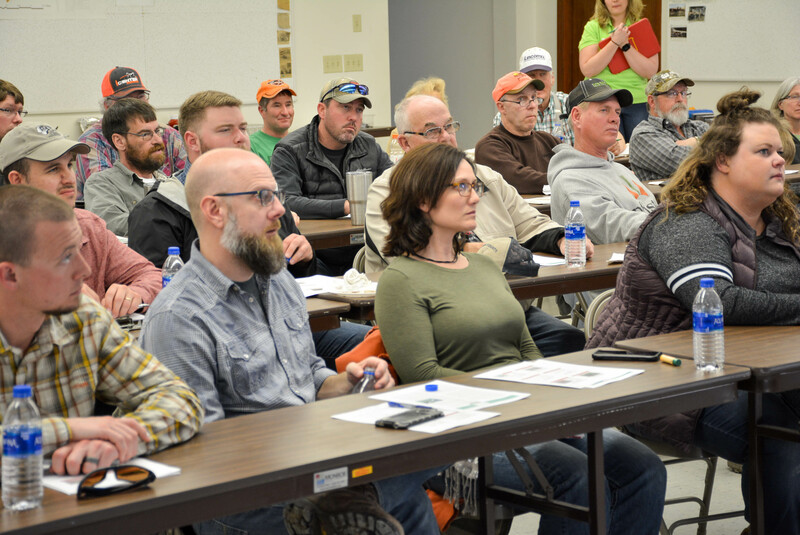 Attendees also heard from Chris Henning, who shared about her experiences as a landowner and working with a tenant to incorporate conservation practices, like cover crops and no-till. 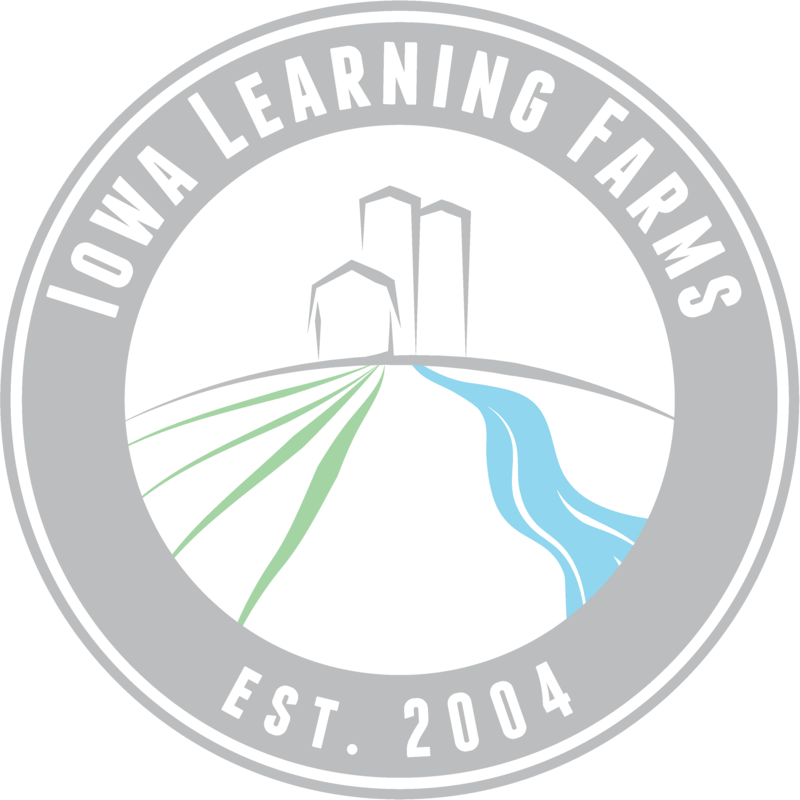 Rounding out the agenda was Mark Licht, ISU Extension Cropping Systems Specialist and Liz Juchems, Iowa Learning Farms.